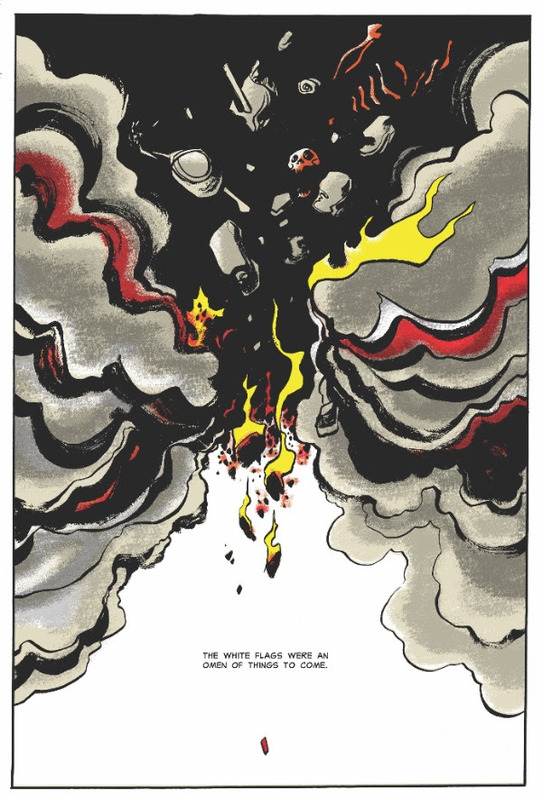 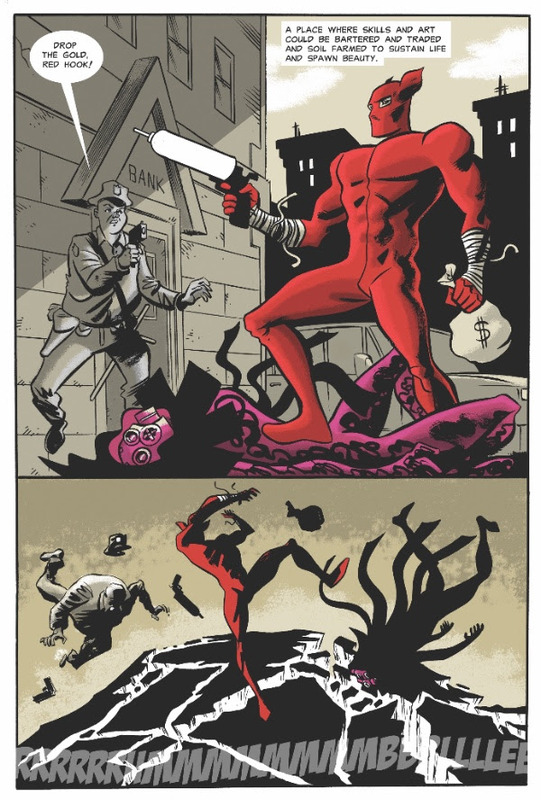 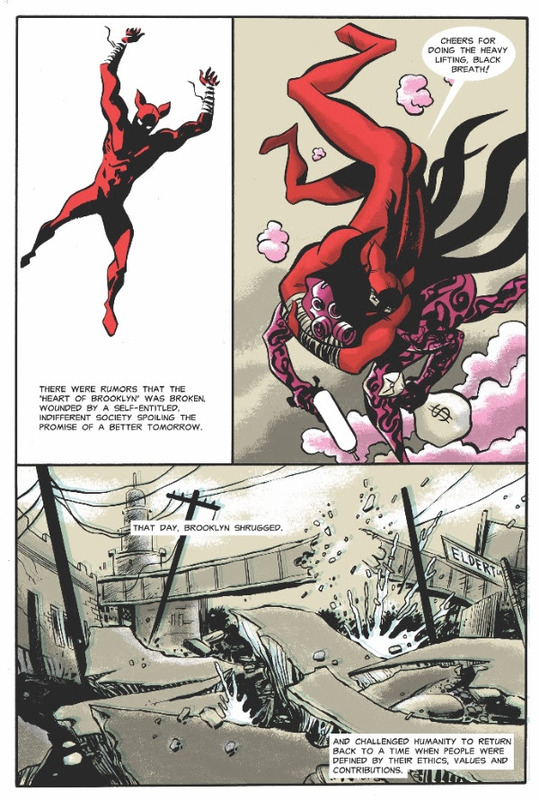 Image Comics reveals preview pages from Dean Haspiel’s forthcoming THE RED HOOK, VOL. 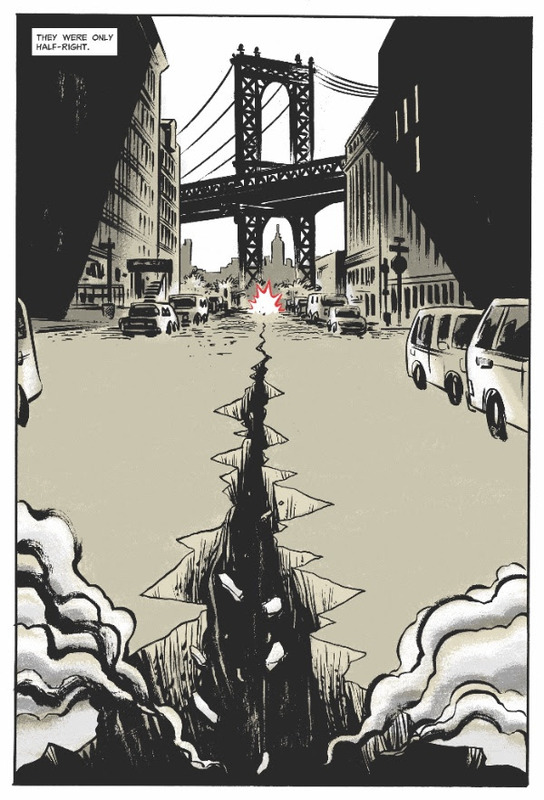 1: NEW BROOKLYN, which is set to launch this June. 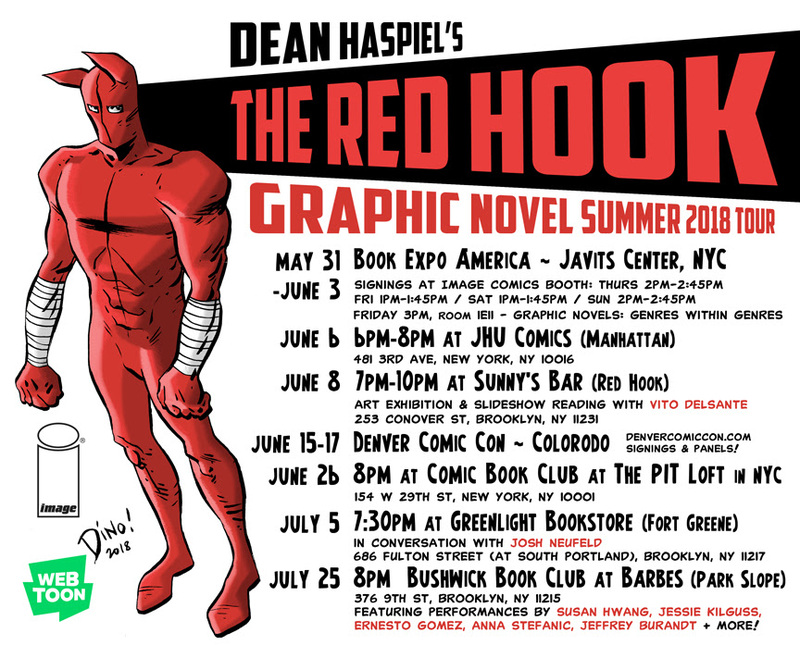 Haspiel will kick-off the release of THE RED HOOK with a Summer 2018 Tour of events beginning with a Book Expo America appearance. 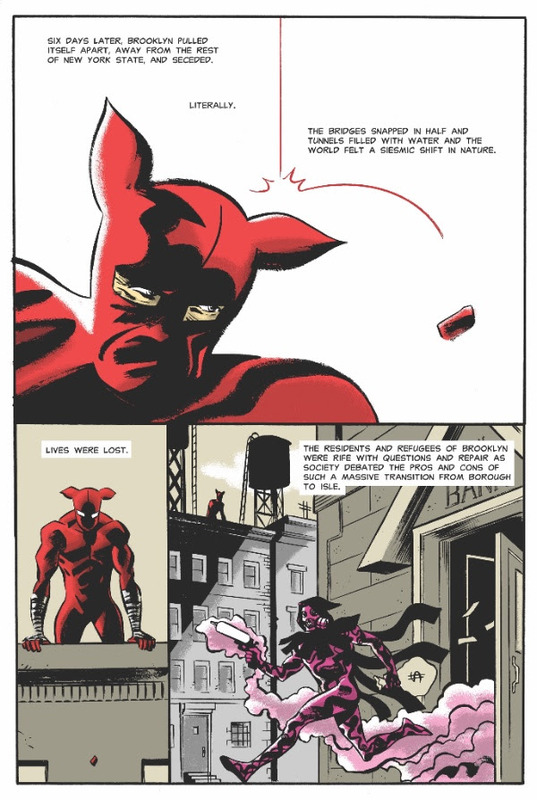 Winner of the Ringo Award for Best Webcomic 2017, this book collects the first volume of THE RED HOOK, a super-thief who is bequeathed the Omni-fist of Altruism and transformed into a hero against his will a year after a sentient Brooklyn's heart is broken and physically secedes from America. 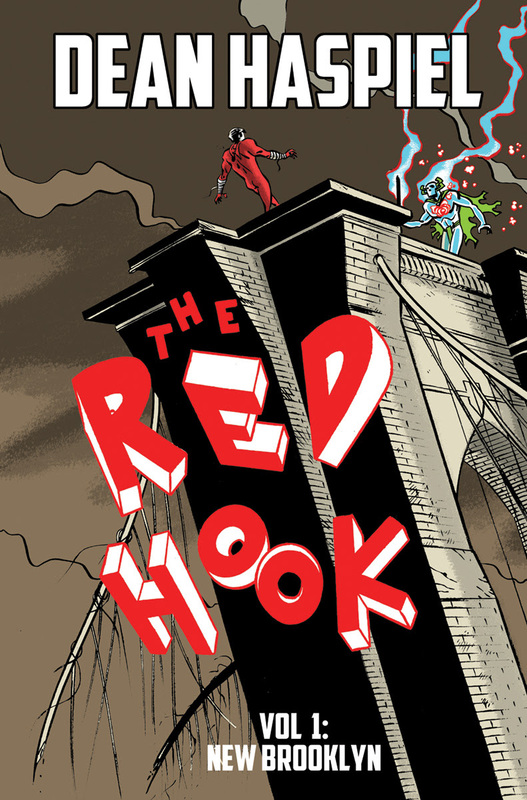 THE RED HOOK, VOL. 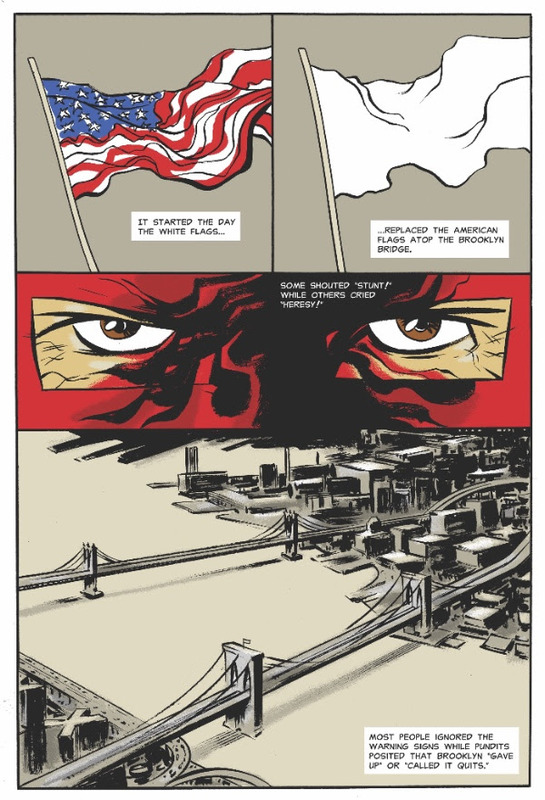 1: NEW BROOKLYN (ISBN: 978-1-5343-0920-3, Diamond Code APR180549) hits stores on Wednesday, June 6th. 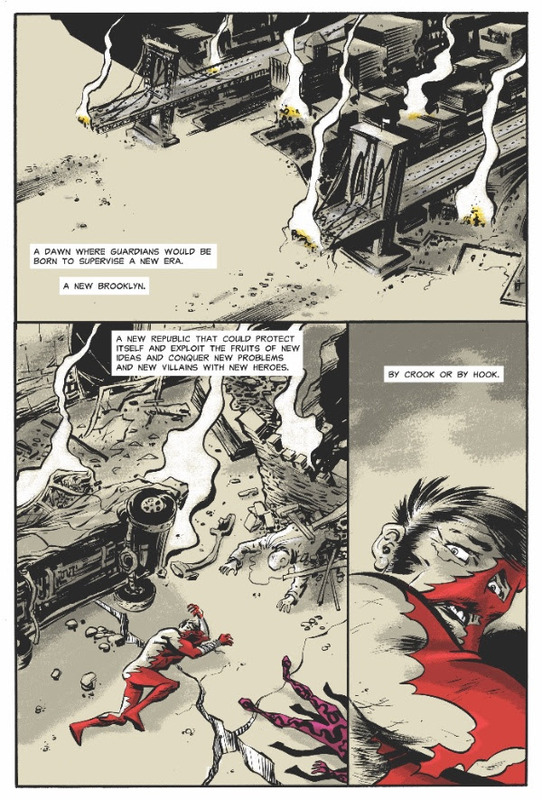 It can be pre-ordered at Amazon, Barnes & Noble, Books-a-Million, IndieBound, and Indigo.